Congress has just passed the Intelligence Authorization Act for 2015, which grants the executive branch not only the ability to spy on American citizens private communications, but also the legal authority to turn that information over to local law enforcement. Private Property? The question is WHO’s private property? If the government can tell you what you can and cannot do within the privacy of your home, whether it relates to what you eat, what you smoke or whom you love, you no longer have any rights whatsoever within your home. Abby Martin talks about the lifestyles of the 1 percent, including how they fortify their mansions and hire private mercenaries as security forces. The late Senator Ted Stevens from Alaska was right…at least, partially. The Internet is a series of “tubes” connecting the world’s major continents to each other. 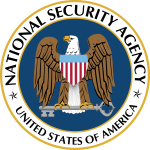 So given what we know about the NSA’s global surveillance operations from Edward Snowden’s leaks, we can gather some information about how the NSA actually goes about hacking into these tubes carrying global communications. RT Political Commentator Sam Sacks breaks it down. The private prison industry makes billions by warehousing our government’s prisoners. Therefore, I’m sure, you will find their Washington lobby opposing any immigration or drug laws that would mean less bodies. Like legalization of hemp. Wells Fargo is the fourth largest bank in America and their executives claim that appealing to the Latino community has been a key component in expanding their business. But what many don’t know is that the bank is funding the private prison industry as well. Each time an illegal immigrant is caught and detained, Wells Fargo profits. Axel Caballero, founder of Cuentame, joins us with more on the prison industrial complex.